DD grilles are composed of double deflection blades, one is vertical, while the other is horizontal. Both sets are aligned on a rectangular shape frame. 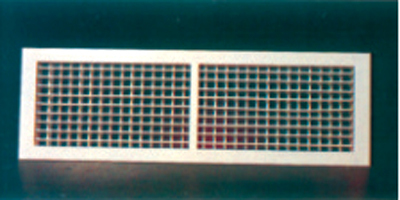 This type of grille is used to facilitate the maximum flexibility in air distribution in wall mounted air terminals.